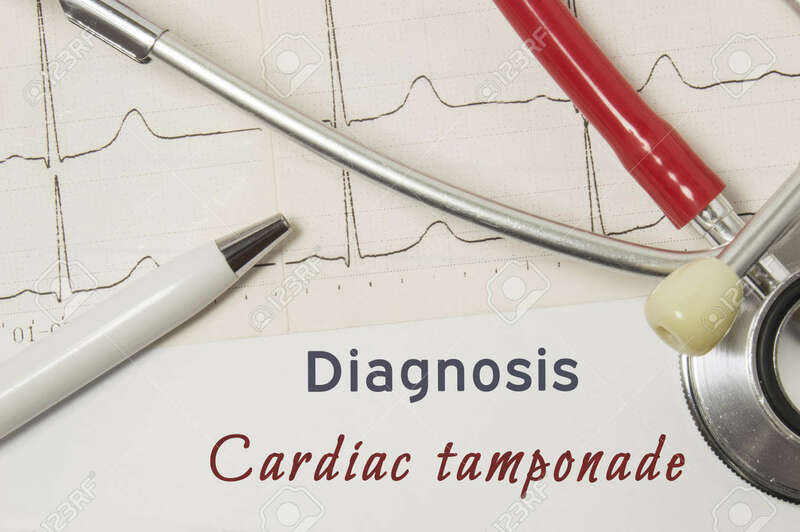 Cardiac Diagnosis Of Cardiac Tamponade. On Doctor Workplace Is Paper Medical Documentation, Which Indicated Diagnosis Of Cardiac Tamponade, Surrounded By Red Stethoscope, ECG Line And Pen Close-up Royalty Free Stok Fotoğraf, Resimler, Görseller Ve Stok Fotoğrafçılık. Image 92333508.